Among the innovations included in the launch of the fourth version of Firefox, we found the add-on bar, that shows the icons of the add-ons installed. However, it occupies too much space and can be somewhat annoying. 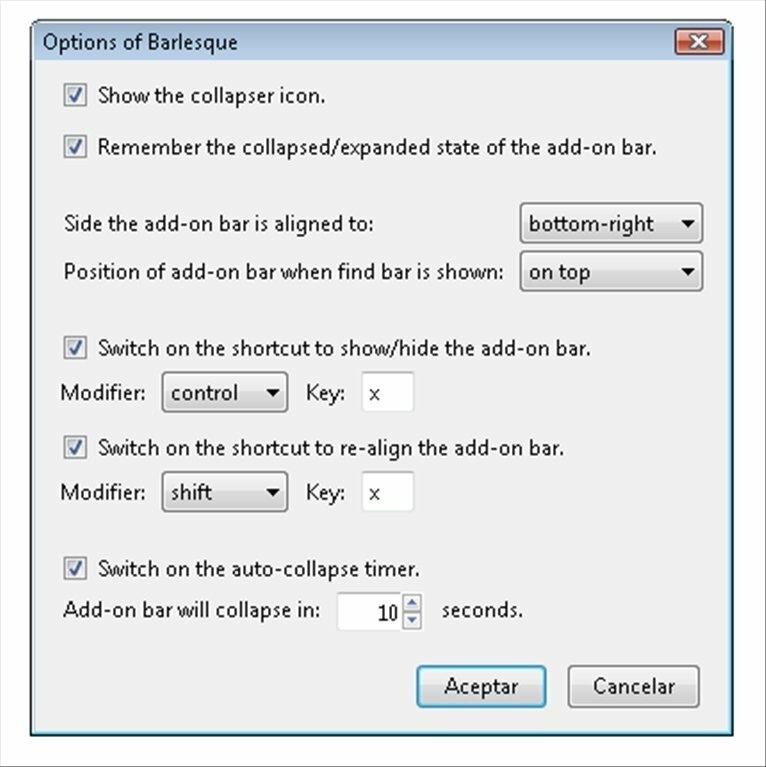 With Barlesque you will be able to remove that bar and replace it with a neat and tidy group of buttons. Barlesque is ideal to clean Firefox's interface in favour of contents, which is really the most important thing. By installing this add-on, you will be able to replace the bar in question with an organised set of less invasive buttons. The icons of each add-on installed will be equally accessible, but you will gain in tidiness. 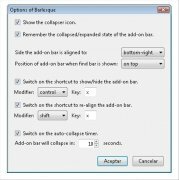 Adapt the size of the Firefox add-on bar. Locate buttons on the lower part of the browser on any side: whether right or left. Configure a keyboard shortcut to hide or make visible your new icons panel. Hide the bar automatically establishing whatever time you want. It's important to optimise the browser's interface, and the add-on bar is one of its most important components. If it annoys you during your daily work, try downloading Barlesque for free. This add-on requires Firefox 4.0 or above.